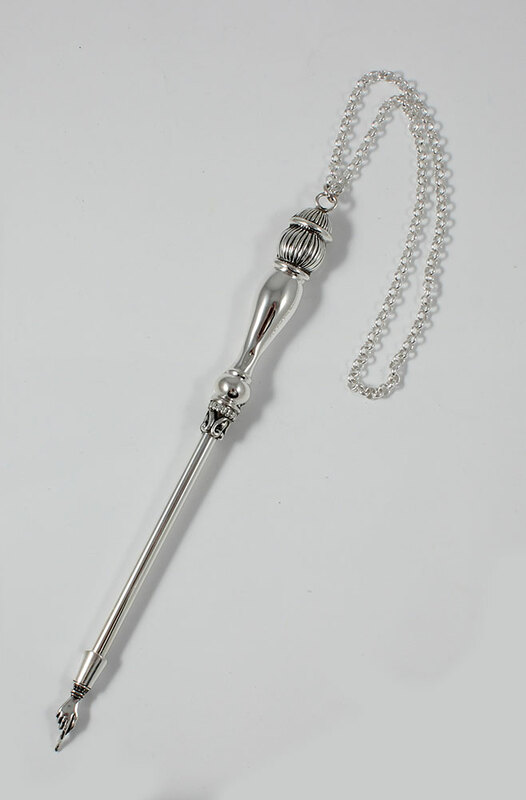 Beautiful extra long sterling silver yad (Torah pointer). 925 sterling silver designed and crafted in Israel. This Torah Pointer is made by the most experienced craftsmen in the industry and perfected to the finest details. You will have the options to personalize after adding the item to the shopping cart.